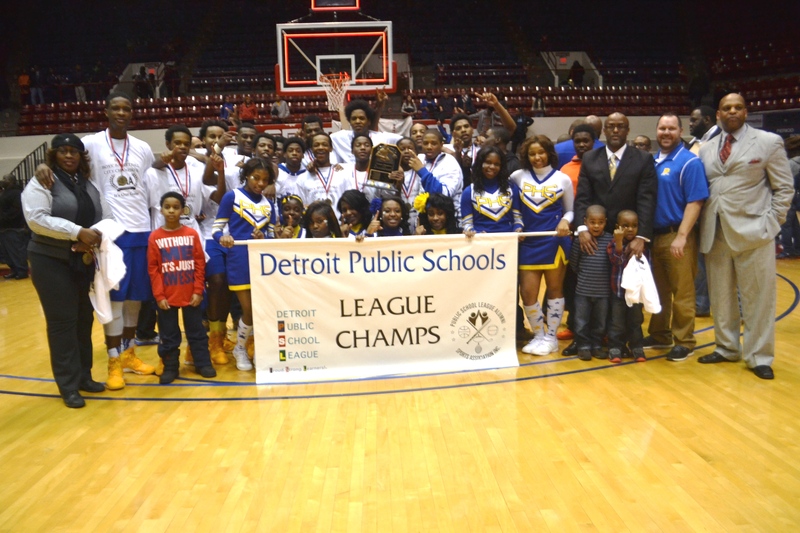 For the third year in a row, King High’s Lady Crusaders are celebrating a Detroit Public School League girls’ basketball championship, while Pershing High’s Doughboys are basking in the glory of an overtime thriller after coming from behind to capture their second consecutive PSL boys’ basketball crown. Friday night’s Big D tournament finals at University of Detroit Mercy had no shortage of excitement or drama for an estimated crowd of 3,000. 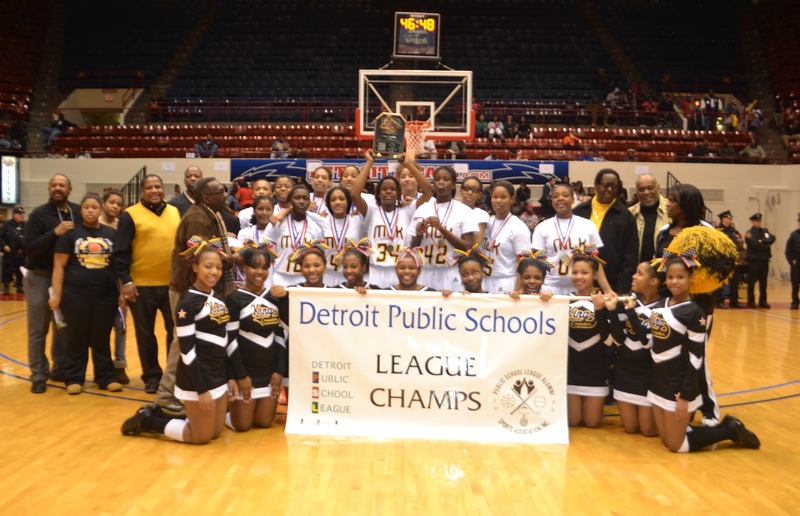 The fans saw King defeat Cass Tech 51-41 in the girls’ title game, then watched Pershing rally from a 13-point deficit in the fourth quarter to beat Southeastern 57-56 in overtime to win the boys’ championship. 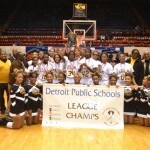 Coach William Winfield’s Lady Crusaders lifted their overall record to 18-1 and completed a perfect 13-0 PSL campaign. Coach Marissa Thrower’s Lady Technicians came up short for the second year in a row in the PSL title game. They finished the regular season 14-4 overall and 11-2 in the PSL, with both league losses coming against King. The victory by Coach Wydell Henry’s Doughboys avenged their only league defeat this season. Unlike their 81-79 home loss to Southeastern in January (in which the Doughboys fell behind by 19 points before chipping away at the deficit and taking a brief lead late in the game), this time they came all the way back to forge an amazing victory. With the help of Southeastern’s missed free throws, Pershing’s pressure defense was the catalyst in changing the momentum. 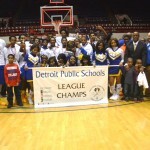 The game was tied 52-52 at the end of regulation and remained anybody’s game until the overtime buzzer sounded with Pershing holding a one-point edge. The victory lifted Pershing’s record to 18-2 overall and 12-1 in the league, while Coach George Ward’s Jungaleers ended the regular season 13-7 overall and 11-2 in the PSL. 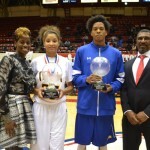 In addition to the heated competition, the PSL All-City girls’ first team players and PSL All-City boys’ first team players, as selected by the coaches, were introduced during an on-court halftime ceremony of each game. 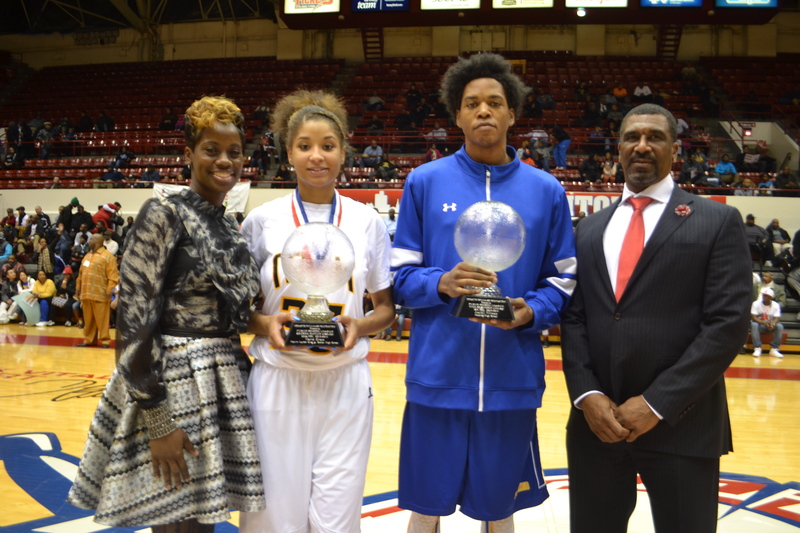 Between games, the Horatio Williams Foundation presented crystal trophies to Pershing High’s Justin Tillman and King High’s Marte’ Grays, who were voted Mr. PSL and Miss PSL, respectively, by league coaches as this year’s top senior players.